Supporter of AMAZING people! Father, wife lover, and friend fiver. Founder + Chief Bottle Washer @TheEmpathyLab. Adventurer + recovering decathlete. 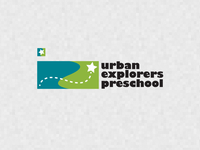 UEPS Logo / Favicon — A simple yet playful logo set for my kiddo's preschool.